Catfish Stew – Nupe Style! I am a Nupe girl and proud! You will find the Nupe tribe in Niger, Kogi and Kwara States. We love to eat rice and guinea corn in different forms as we grow them in the swampy areas because the Nupe land is located in the heart of Nigeria below the River Niger and river Kaduna. 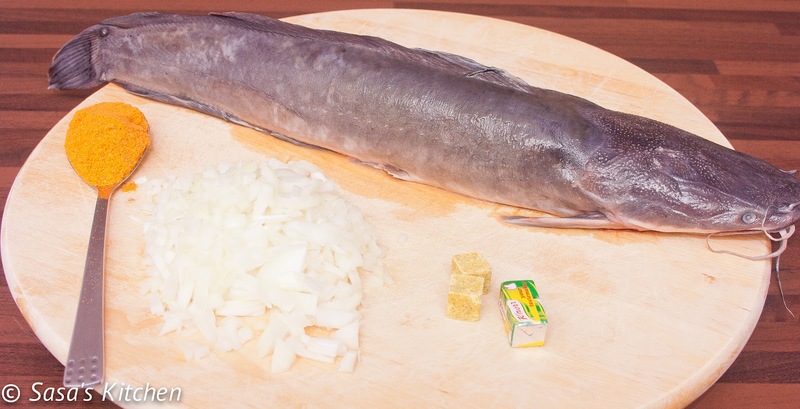 And also for this reason fish, the cat fish especially is very common in Nupe dishes. I still get my mum to send me some dried fish straight from the river! I don’t mind the rice “forms” but I must admit that I cannot stand the meals made out of guinea corn! I hear by present Nupe style fish stew. Place the pieces in a bowl and pour hot water over them just to cover them for a minute, you will notice the slimy stuff coming off the fish. Rinse them again in cold water, pat dry and keep aside. In a sauce pan large enough to contain all the fish in a single layer, heat the oil for a minute and add the chopped onions and fry for another minute. Then place the fish in a single layer, sprinkle the Knorr cubes and dried pepper over the fish. Pour warm water over the fish just to cover it and let it cook on medium heat for about 20 minutes or until you notice a thicker smooth stew. Add salt to taste. 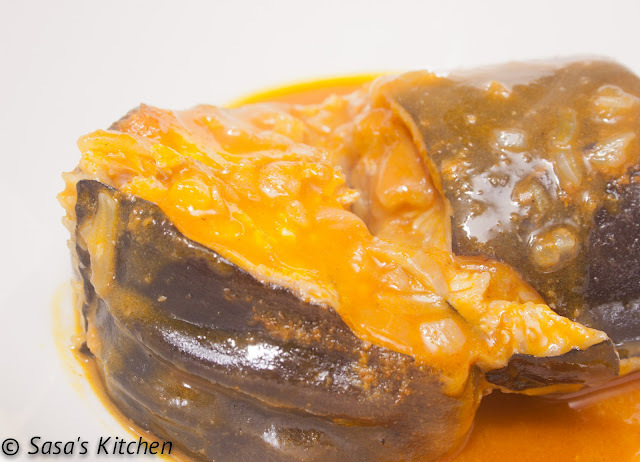 Serve with rice or Tuwo Shinkafa.